State-run TAFEs need autonomy for vocational education to thrive, but government control is tightening and will only hide system problems. The problems facing vocational education in Australia are well known and serious – falling per student funding, regulatory failures, student VET FEE-HELP rorts – but the instinct of some state governments to take greater control and centralise their public TAFEs won’t work. Across state and territory governments, with the exception of Victoria, public TAFE is losing autonomy and being merged into conglomerates which means they can be more easily controlled by state departments. The idea is that it will make the TAFEs more efficient, but that is misguided. What we need to do is give TAFEs more independence so they can thrive as businesses in the more open markets for training subsidies. That would put new onus on governments to take responsibility for gaps in services when the market fails. It would force governments to provide targeted funding to support the diverse needs of students, industry and the regions that could then be met by diverse and autonomous providers. 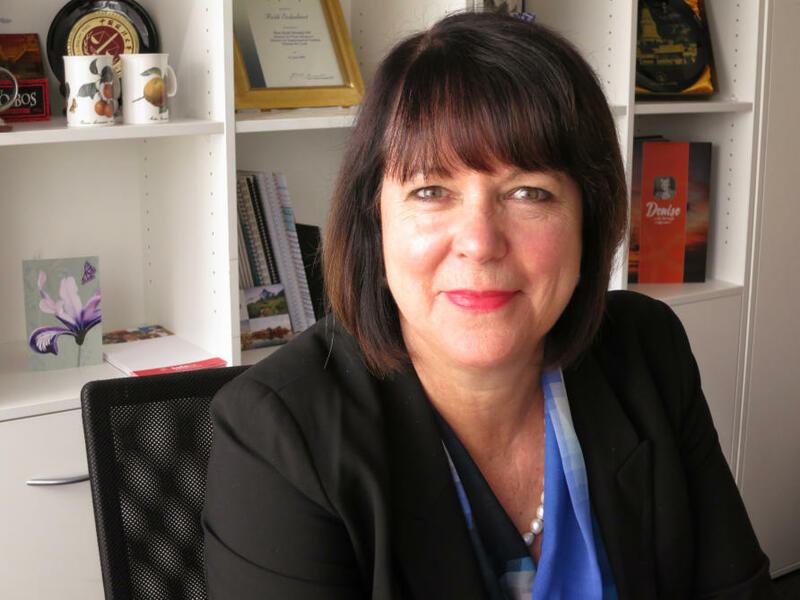 Governments are centralising TAFE when what works is autonomy, says LH Martin Institute Associate Director Ruth Schubert, a former director of business transformation at TAFE SA. Picture: LH Martin Institute. In what is the first attempt to classify Australia’s vocational sector, we at the LH Martin Institute have produced detailed profiles of 35 public and private providers who are among the biggest providers in the country of publicly funded VET. One of the key findings is that across NSW, Queensland, South Australia and Western Australia, TAFEs are becoming conglomerates under centralised corporate structures. But a large conglomerate doesn’t mean it will be more efficient. It may mean less managers at the top levels, but often those managers will simply be paid a lot more, and in my experience, in larger organisations it is the corporate and administrative staff numbers that grow while pressure is put on teaching staff to reduce costs. Larger organisations are also ineffective. It is true that organisations have a critical size, but wholesale mergers aren’t useful. The entities become too big. The end result will be that students and industry will lose out. Service levels and quality will decline as the conglomerate TAFE simply makes do with less. TAFE brands are invaluable but are easily lost as governments centralise control. Picture: Shutterstock. The benefits of autonomy are obvious in Victoria where there are 12 independent TAFEs and 4 Dual Sector Universities. Our profiling makes it clear that it is the Victorian TAFEs who have had higher levels of autonomy over a long period that have grown international student markets, and are rapidly expanding their higher education delivery. For example, Victoria’s specialist hospitality TAFE William Angliss has a strong international reputation. In contrast South Australia’s similar Regency TAFE had an equally strong reputation but it has been lost in the larger TAFE SA conglomerate. TAFE in Western Australia had Institutes with strong brands and industry focus such as Challenger and Central and this is being lost. And in Western Australia the TAFE sector is actively discouraged from maintaining international business and from expanding into higher education. Outside Victoria, TAFEs increasingly lack control over their assets and their employees. As TAFEs become conglomerates, management decision-making will inevitably be pushed upwards away from the staff that are closest to students and industry partners. It means these organisations will become less responsive to the needs to those they are serving. A TAFE conglomerate will also struggle to maintain the close relations with industry that is the hallmark of the sector. Industry has a real say in TAFE qualifications and assessment, and many TAFE students are working in their industries while they study. But when there is a restructure and an amalgamation, business and industry relationships are lost as key staff are moved or removed. Regional communities will also be worse off as local TAFEs are taken into larger, metropolitan-based organisations. There will be a reduction in regional face-to-face provision because of cost, and regional campuses will be closed and students will be expected to travel into the suburbs and cities to access TAFE. An autonomous TAFE sector will put the pressure on government to address funding shortfalls. Picture: Shutterstock. A sector dominated by fewer conglomerate TAFEs will also be less innovative. Having a mix of TAFE chief executives is healthier because it means there is more room for new ideas to be tested. And having the odd maverick chief executive is a good thing. Systems need people prepared to think differently. There is of course legitimate concern that if TAFEs are free to be entrepreneurial and to make decisions based on what is good for the business, then community service for which there isn’t a business case will be sacrificed. This might be a regional campus or a low margin course. But the problem is a lack of funding, not a consequence of autonomy. An autonomous TAFE could actually better highlight the problem when otherwise it would be hidden within a struggling conglomerate where political pressure can keep it hidden. A more autonomous and diverse system will put pressure on government to put its money where it’s mouth is and provide the diverse funding streams that are needed to attract diverse and innovative providers that can deliver the services the community is demanding. Associate Professor Ruth Schubert is a former Director, Business Transformation at TAFE SA. Co-published with The Australian newspaper.